I made this card for the current Play Date Cafe color challenge. 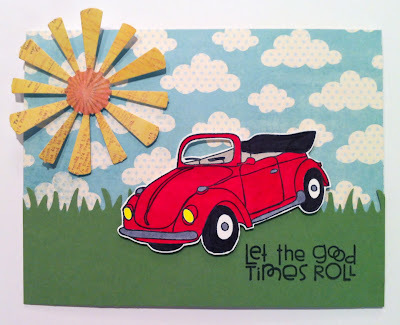 I couldn't wait to use my new Retro Beetle stamp from Claudine Hellmuth from a set called So Retro!! The colors are really fun this week. Thanks for stopping by! oh wow that is a fabulous challenge photo! Your card is great, I wish I could tag along and go where ever they're going! This is a fun looking card. Blessings! Such a cute scene, Donna! I love that bright red card and the fun sentiment! Super cute, Donna! Lovin' the way the text in your sun rays and the dots in your clouds add such delicious texture! Thanks so much for playing along with us this week at The Play Date Cafe! Such a cute card, I love how you've got the little car at an angle, it adds real fun to the design. 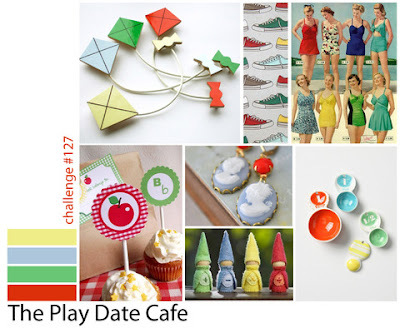 Thanks for joining in the fun with us over at The Play Date Cafe this week! FABulous! 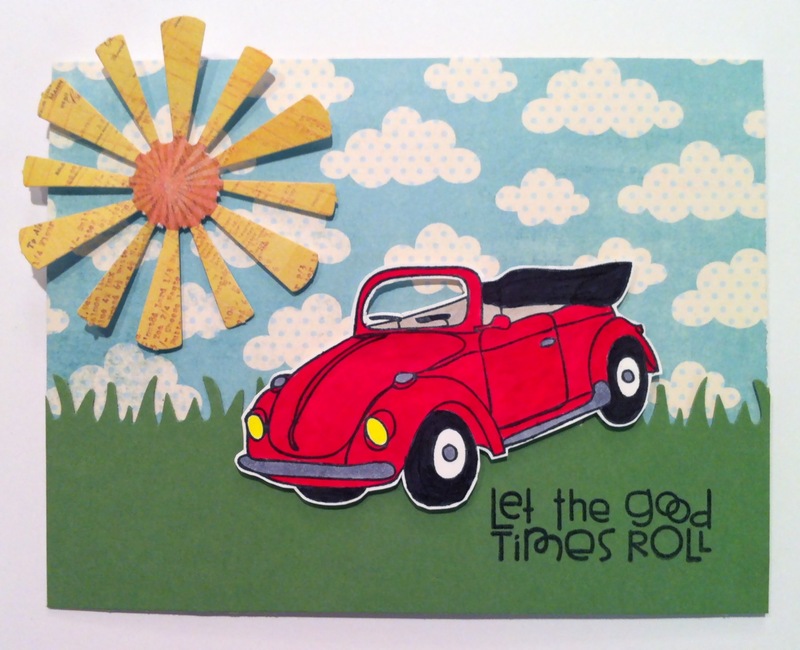 Love how you have used the colours and I can see why you love the 'bug' it's super adorable!